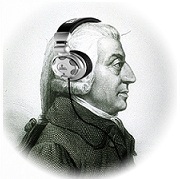 The Atwood Files: Adam Smith got it right! We've had some great contributors to the Horses over the years, and I was delighted to get a call the other day from one of the legends of outsourcing lore, offering to share some of his career learnings with us. I'd like to think he rates us that highly, but it's more likely the two feet of snow that submerged his local golf course was what really inspired Mike Atwood to lend us some of his thoughts about globalization, the development of capitalism, and our favorite topic: outsourcing. Adam Smith got it right! Over 350 years ago he observed and defined the concept of markets, specialization of labor, demand, all of it. As capitalism grew we saw these concepts first in the industrial revolution. Entrepreneurs saw that they could manufacture goods, weave cloth, and generally produce things by breaking a job down into parts and then using their capital to create machines that produced regular, repeatable pieces in large quantities with smaller and smaller amounts of labor. However the costs of the factory, machinery, and early on even energy were fixed or sunk costs. Labor and transportation were the variables. So they looked to minimize these costs. Factories moved from Britain to New England, then to the South, and lately to China. All following cheaper labor. We study this in our history and it all seems natural. At the turn of the 20th century some corporation attempted to gain a competitive advantage by vertically integrating. Henry Ford developed the Rouge River complex looking to have raw materials come in one gate and finished automobiles go out the opposite gate. GM bought up every company it could find that made auto parts and even bought a forest for the wood trim in its cars. But Adam Smith got it right. Labor specialized companies came into being that did only one thing and did it well, and they both are struggling to survive. Then came the internet, the fall of the Berlin wall, and a decade of comparative peace and prosperity in the world. The world got wired; transportation was made a competitive market and everywhere in the world is reachable in less than a day at a 1500 dollar cost. India took stock of its resources and saw what it had the most of was people. They accepted the western doctrine that education was the path to prosperity and developed a university system that graduates over 500,000 engineers each year. Many of these people left the country to find employment and rapidly became valued employees in most western companies. And in about 1995, people started asking, why can’t I do this in India? Jack Welch went to India and came home actively pushing all the GE units to send their accounting, clerical, and engineering work to India. At the same time several call center companies had grown up in the west. These companies learned how to manage a call center monitor the agents and generally do a better job, and they got business. There major cost was labor so it was a natural for this business to migrate to India as telecommunications costs dropped. Eventually it got so cheap that this seemed like the only place to be especially since most of the population had some English skills. Now we have centers in India, China, Argentina, The Philippines, etc the country worries that all our jobs are going overseas, but it is just the market doing what it always has. Labor is specializing and capitalists are hiring specialized companies to do specialized jobs that don’t provide any competitive differentiation. Adam Smith got it right. Mike Atwood (pictured right) has spent over 35 years in the outsourcing field. He led 3 major units at EDS providing outsourcing services to clients. He has spent the last 7 years as an advisor assisting clients as they decide how to offshore, develop a captive center or outsource.